The external, the judgements, the simplification of what we perceive and then the more intimate knowledge of what’s before us brings an individual and unique object or person or happening to the forefront of our beliefs. It is this concept that I’d like to apply and explore in this grant opportunity, through my own painting and as it applies to the community. My last series of paintings …are titled After Sonnetti Lussuriosi. They grew out of my discovery of the story of Aretino, Guilio Romano (Raphael’s pupil), Raimondi (a printmaker), Pope Clement VII, and a scandalous series of sixteen drawings accompanied by a sonnet that erupted into the persecution of the artists and the destruction of the work. 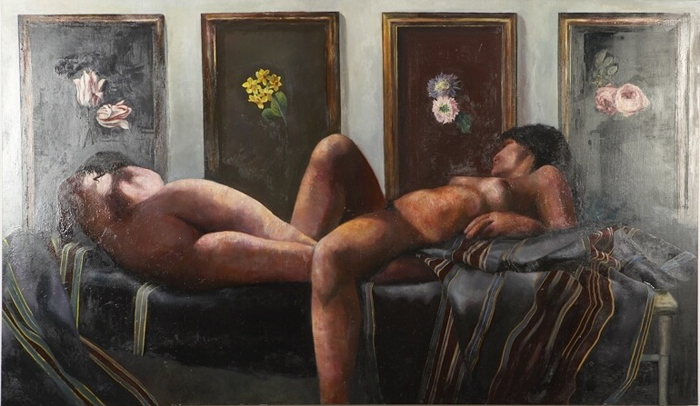 These paintings are my interpretation and commentary on the lewd sonnet. The paintings are meant to speak to one another, and to create an alternative dialogue. 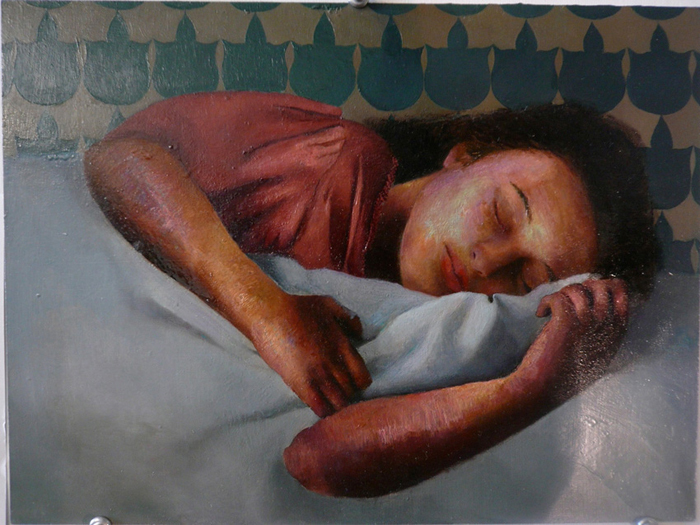 candace goodrich: sleeping girl. 12" x 9"